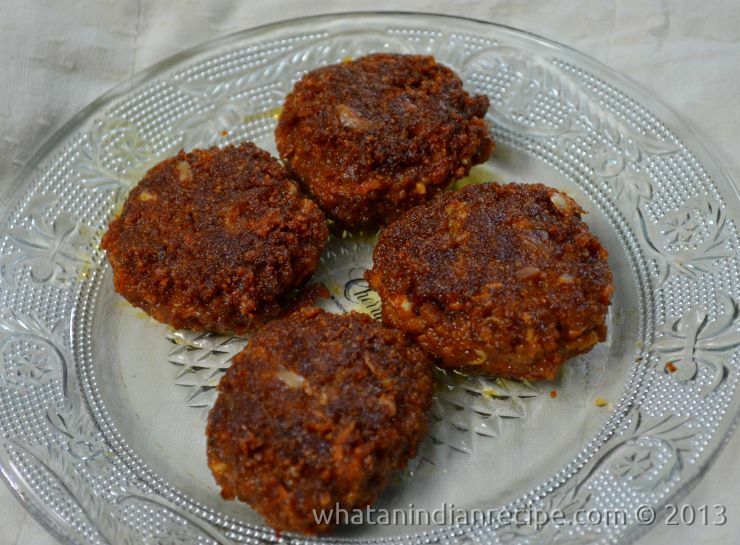 Galaouti kebab is a Nawabi dish, very popular from the city of Lucknow, made with minced lamb, chana dal and seasoned with a few spices.Legend has it that it was first made for a Nawab who was toothless and couldn’t chew, so it has earned the nickname the “toothless” kebab. Serve this as a starter to your guests and they’ll love it. Put the chana dal powder, minced meat, kashmiri chilli powder and ginger-garlic paste in pan nd cook on low flame till the meat is done . Now remove from heat and all the remaining ingredients except oil. Mix well and then divide it into small portions to prepare tikkis with your palm. Now shallow fry these tikkis till golden brown.